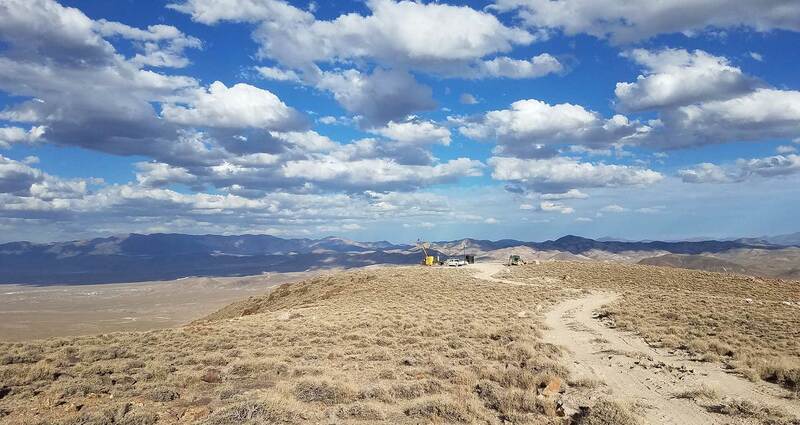 Las Vegas, NV - Patriot Gold Corp. (PGOL) or ("Patriot Gold"), a gold and silver exploration and production company, today provided additional results from its ongoing reverse circulation (RC) drilling program at the Bruner gold project located in Nye County, Nevada. B-1444 intercept intersected 1.5 meters from 6.1-7.6 meters grading 14.4 g/tonne Au and which upon re-assaying from a larger (1000 gm) pulp returned 29 g/tonne Au, signifying particulate gold. Thus far, B-1444 is at the most northern part of the drill pattern with gold mineralization encountered open to the north. Core drill has since been moved to an adjacent drill site 30 meters north of the B-1444 intercept to determine any additional high-grade intervals. "As drilling for the Bruner project continues to progress in the final months of the year, we are gratified to see more definitive signs of gold in the northern area of the historic resource area," said Bob Coale, CEO of Patriot Gold. "Analysis results from our drilling program to date have significantly increased our confidence in the commercial viability of the Bruner project and we look forward to making additional progress toward a feasibility study in 2015." RC drilling at the northeast end of the historic resource area of the Bruner gold project intersected gold mineralization near the surface. Most significantly, a shallow high-grade intercept in hole B-1444 intersected 1.5 meters from 6.1-7.6 meters grading 14.4 g/tonne Au and which upon re-assaying from a larger (1000 gm) pulp returned 29 g/tonne Au, suggestive of particulate gold in this intercept. This interval occurs at the bottom of the casing and the beginning of sampling. Further down, hole B-1444 intersected a thick lower grade interval from 36.8-77.7 meters grading 0.477 gpt Au. Thus far, B-1444 is the northernmost hole of the drill pattern and the gold mineralization encountered in the hole remains open to the north. The core drill has been moved to the adjacent drill site located approximately 30 meters to the north of the intercept in B-1444 (and which is set back a few meters) to further determine whether the entire high-grade interval can be intersected in a fence of holes. Additional drill hole intercepts at the northeast end of the historic resource area are reported in the following table. The Bruner Project is situated in central Nevada, 15 miles north of the Paradise Peak mine, 45 miles northwest of Round Mountain and 25 miles east of the Rawhide mine. 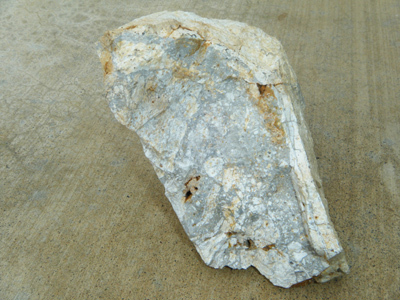 Historic production from the Bruner property included about 100,000 ounces at an average grade of 0.56 opt gold. Patriot Gold owns 100% undivided rights, title and interest in the project which is subject to certain royalties and an earn-in option agreement for 70% interest. The earn-in optionee/operator, Canamex Resources Corp. (TSX-V: CSQ) (OTCQX: CNMXF), has the right to earn 70% interest in the Bruner project by spending $6 million over seven years and may earn an additional 5% by completing a bankable feasibility study for a total of 75% interest in the project. Subsequent to the optionee/operator earn-in, financing of the project will be on a proportional basis.